It’s 2017, and despite the mainstream popularity of sound bars there are still people who prefer the flexibility and power of a real AV receiver. While the mechanics of your basic receiver has never really changed — they still switch inputs and drive large sets of speakers — they now boast more features than ever before. 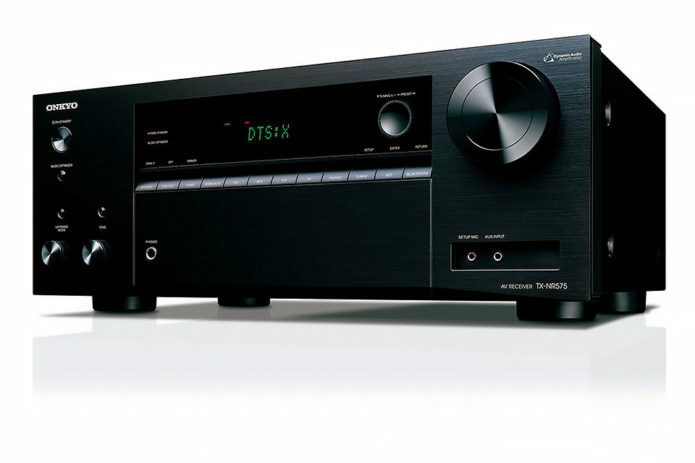 The Onkyo TX-NR575 is a classic example of a modern receiver. It’s a competent sonic performer, boasts an almost overwhelming number of gizmos, and is reasonably priced. Given that most receivers including the Onkyo sound similar to one another — voiced to sound good with movies and not terrible with music — it’s arguable then that it is the features that will sell this receiver. And there’s few models that will match the TX-NR575 this year or even next in that regard: Dolby Atmos, Chromecast built-in, 4K HDR, it’s got the lot.